In an unprecedented move, MANSION.COM has teamed up with Poker News to offer at least 56 WSOP packages in one single week from next Monday, 21st May. That's right – a minimum 8 Main Event packages per day! For that one week only, the MANSION Team PokerNews Main Event Satellite Series will take the place of the market-leading MANSION $100,000 Guaranteed tournaments. So, tune in from 21st May to 27th May inclusive for a generous helping of opportunities to book your tickets to Las Vegas for the "Big One". Each package is worth $12,500 which includes tournament buy-in and money for travel and accommodation. Anyone who has been to Vegas will know that you can buy some stunning accommodation for your money too. In addition, every player that wins a package on MANSION will be a part of Team PokerNews. That entitles the member to custom merchandise, access to private team functions and you will be able to update your Main Event progress on the Team PokerNews blog. "We know it's every player's ambition to play in the Main Event. We have given the $100,000 Guaranteed promotion a Vegas makeover to give away a guaranteed minimum 56 of the hottest tickets in poker right now. We know that those who currently compete in our daily guaranteed tournaments enjoy the extraordinary overlays MANSION is now renowned for and we are proud to work alongside PokerNews to further enhance our reputation for adding real value and money for players.". For your chance to be part of MANSION Team PokerNews, you can either buy-in directly to one of the daily Main Event satellites for $100 or enter one of the feeder satellites for as little as $10 (MTT Rebuy) or $20 (Freezeout). This directly follows the $100,000 Guaranteed structures. "This promotion is a natural fit, as both PokerNews and MANSION make player value a big priority. 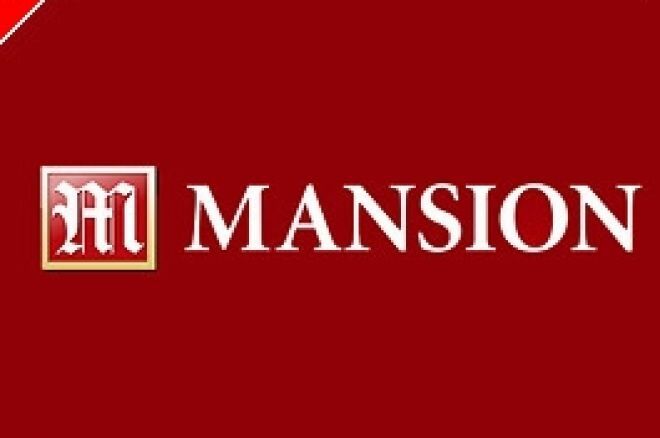 MANSION has offered incredible value to players since the first of the year with their "$100k-A-Day" promotion and we're thrilled to partner with them to bring an extra 56 players to Team PokerNews. Another benefit of being with MANSION is the attention to players in every part of the world. Here, there is no mandatory 3am start for players living several hours' flight away from poker headquarters! You have a choice of starting times. Start time: 20:00 GMT; London 21:00 BST; Paris 22:00 CET; Hong Kong 04:00; Sydney 06:00; New Zealand 08:00. Full details of all the daily satellite tournaments to these super-satellites are available at MANSION. With so many chances to win, get down to MANSION for the best value in town!